The International Atomic Energy Agency (IAEA) warned Japan two years ago that a strong earthquake could pose a "serious problem" for its nuclear power stations, Britain's Daily Telegraph reported. 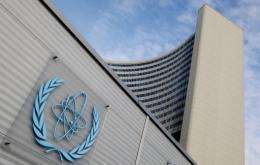 An IAEA expert expressed concern that the Japanese reactors were only designed to withstand magnitude 7.0 tremors, according to a December 2008 US diplomatic cable obtained by the WikiLeaks website, Telegraph reported. The IAEA official told a meeting of the G8's Nuclear Safety and Security Group in Tokyo in 2008 that Japan's safety guidelines were outdated, the cable said. "He (the IAEA official) explained that safety guides for seismic safety have only been revised three times in the last 35 years and that the IAEA is now re-examining them," it added. "Also, the presenter noted recent earthquakes in some cases have exceeded the design basis for some nuclear plants, and that this is a serious problem that is now driving seismic safety work," it added. The government responded by building an emergency response centre at the Fukushima site, but the plant was still only designed to withstand a 7.0 quake. Engineers Wednesday battled to restore the cooling system at the Fukushima No. 1 plant which was knocked out by last Friday's massive earthquake and tsunami, making a meltdown possible. Another cable sent in March 2006 showed that the Japanese government had opposed a court order to close a plant in the country's west over doubts about its ability to withstand an earthquake. According to the cable, Japan's Nuclear and Industrial Safety Agency believed the reactor was "safe" and that "all safety analyses were appropriately conducted."